Mr. Robert Sonnenblick, Principal of Sonnenblick, LLC, is a graduate of the Wharton School of Finance of the University of Pennsylvania with more than 30 years of experience in various aspects of real estate and real estate finance. 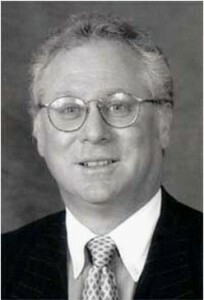 From 1981 to 1991 Mr. Sonnenblick was the driving force and power behind Sonnenblick-Goldman Corporation of California. Mr. Sonnenblick completed over $1.5 Billion of commercial real estate transactions on the West Coast and as a result is regarded as one of the West Coast’s leaders in the field of commercial real estate. Among the more notable projects for which Mr. Sonnenblick personally structured the financing for are The Beaudry Center, Los Angeles, California ($197 million), the Ritz Carlton Hotel, Pasadena, California ($97 million), One Waterfront Plaza, Honolulu, Hawaii ($100 million), and the Los Angeles World Trade Center, Los Angeles, California ($55 million). In 1991 Mr. Sonnenblick was appointed Director of Development for the New Jersey and L.A. MetroMalls, with the responsibility for oversight and direction of the design, financing and leasing programs for two proposed $250 million enclosed regional malls totaling 1.2 million Sq. Ft. each. Mr. Sonnenblick personally oversaw more than 1 million Sq. Ft. of leases in connection with this position as well as arranging the necessary debt and equity financing. The New Jersey project opened to one of the strongest starts in the history of the United States mall industry. In addition, Mr. Sonnenblick was an original development partner of the Loews Santa Monica Beach Hotel. This 360-room, $90 million hotel was recently sold for $125 million. Prior to forming Sonnenblick Development, LLC, Mr. Sonnenblick was the senior partner in a Los Angeles-based real estate development firm (Sonnenblick Del Rio Development) which specialized in public-private partnerships, specifically the development of four major government-leased office buildings throughout the Los Angeles basin. During this tenure, Mr. Sonnenblick successfully developed nearly 1 million square feet of government leased buildings, occupied by such tenants as U.S. Department of Homeland Security, Federal Bureau of Investigation (FBI), Los Angeles County Sheriff’s Department, Los Angeles County Department of Public Social Services and Los Angeles County Department of Children and Family Services. Mr. Sonnenblick is a frequent speaker at various real estate-related functions, such as those hosted by Deloitte Touche, ICSC, Value Retail News, Crittenden, USC, UCLA Real Estate Program, IMN Real Estate Conferences and the Institute for International Research, The Opal Group, iGlobal Forum Group, Globe Street/Realshare Conferences and Bloomberg Conferences. Mr. Sonnenblick is a member of the Advisory Board of the Golf Development Institute, a member of the Board of Real Estate Council of the Century City Chamber of Commerce and is a published author on subjects ranging from architecture to general real estate market conditions. In addition to Mr. Sonnenblick’s expertise in development, finance, joint ventures and equity structuring, Mr. Sonnenblick has also been certified as an expert in the area of real estate bankruptcy/foreclosure. Mr. Sonnenblick is a qualified expert witness in the area of Commercial Real Estate Finance and Interest Rates for the United States Federal Court System in numerous jurisdictions.